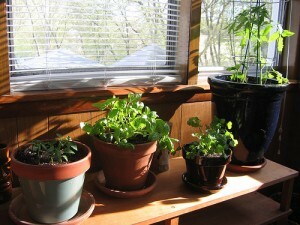 If your hobby is indoor gardening you should get well informed before you start. With a good growing system you can obtain fruits and vegetables at a lower price than with a traditional soil garden. Another advantage is the little space required between plants. It will allow you to have as many plants as you wish. You can even fit your growing system anywhere you want. Another reason why people love indoor gardening is the low water usage. Thanks to this you will be able to save money. This way of gardening is also very easy to maintain. The first step is to learn how to use the fertilizer. This will depend of the plant you are growing. For example, for cherry tomatoes you will need liquid fertilizer twice a month. When using led grow lights you should make sure the room temperature is between 70°-80°F. This will ensure a faster plant growth. If the indoor plants have little or no direct sunlight you should keep the grow lights running all the time. Try to avoid over watering your plants. When using led light the plants will need less water. Occasionally it’s recommendable to clean the dust on the plants. In order to obtain soil you must buy special container soil. Avoid using the one from the garden because it might damage the plants. A good advice is to keep an agenda for all your plants. Write down the purchase date, when you added the fertilizer and all the other important details. This will help you get better gardening results. It’s also important to check the pots for drainage holes. The last thing you wish is for the water to stay inside the pot. Your plants need good drainage holes. If you follow some simple steps you have the possibility to transform your home into a gardening paradise. PreviousBedsheets – Satin or Silk?